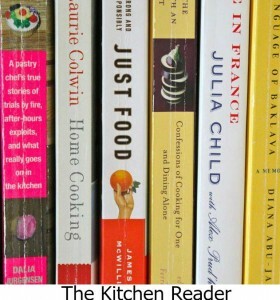 This was the August/September book selection for Cook The Books, and the October selection for The Kitchen Reader. I was excited to read this because I’d heard so many good things about it. I wasn’t disappointed. The book starts out when Marcus (Kassahun), his sister Fantate (Linda) and their mother all got sick during a tuberculosis epidemic that hit Ethiopia. The fact that his mom carried him 75 miles while his sister walked alongside them was very touching. It was Ethiopia. She was sick and it was a very very long way, especially on foot, and it was hot. But she had no choice, her babies were sick. Reading how Marcus and his sister Linda ended up in Sweden with their new family was interesting too. I can’t imagine losing your mother at such a young age, and then being being adopted by strangers who live in a country you’ve never been to and not knowing the language. But both children adapted very well though I thought. There are so many different stories in the book that I loved. One of my favorites was of Marcus spending time with his Mormor (grandmother) in her kitchen. Little did either of them know that because of the time they spent together cooking, he would one day be a very accomplished chef. I also liked the story about when he spent time with his dad and uncle getting the boats ready, the friendship he had with Mats, the soccer stories… He really did have a good childhood. There were a few times in the book where he was disappointed, but in Marcus style, he moved on. I loved that about him. He didn’t let anything get him down for long. I pretty much liked all the stories and the people who came and went throughout the book. One that didn’t make my favorite list, was Mr. Stocker. The incident with Gary, a friend of Marcus, made my jaw drop. Sorry, did not like him at all. But then there was Pig Food Mary. Loved her name and her story. I also liked his family, especially his Mormor. I loved following Marcus as he traveled from Sweden to Austria, Switzerland, France and New York, as he honed his craft and learned so much. He also met some very important people in the food/restaurant business. The personal side of his story was very touching and added another layer to his personality. Through it, we got to know him as more than a chef. There is so much more to this memoir, I could go on and on. Instead, I recommend you pick up a copy and read it for yourself. I can’t imagine it disappointing you. There are some photos included in the book and I liked seeing Marcus as a child, and seeing his family. This is a book I probably would not have read on my own, so I’m thankful to Cook The Books and The Kitchen Reader for choosing it. In the book Marcus mentions this as a soup, but when I googled it more recipes showed up as stew. We like stew more than soup, so that’s what I went with. You can’t get much easier than that. Cutting up the potatoes took the most time, but it was so worth it. As you can se in the photo, the chicken thighs weren’t thawed completely, but it didn’t matter. My son and I both liked it. Next time I think I’ll half the recipe unless I make it for when we have company over. I choose this recipe at Betty Crocker because it’s made in the crock pot. I love my crock pot and wanted to use it for this recipe. Most of the other sites were made in a pot on the stove. 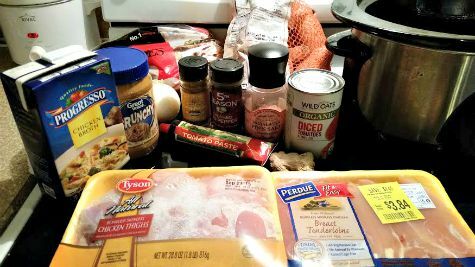 I did substitute the chicken breasts for tenderloins, but everything else was as listed. I loved the book and the stew! I loved this book too. It was an amazing story. Wow, that sounds like such a remarkable story. I’ll have to look for this book. This sounds wonderful. I actually have this book on my shelf … it’s been waiting for way too long!! 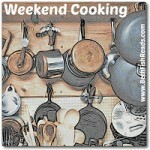 I love this chef, and am pretty sure I’d go ape for the recipes!! Adding to my massive GR list! Fantastic review! This sounds like an amazing story. The recipe looks and sounds delicious! Have a great weekend, Vicki. That chicken looks great. Cheers from Carole’s Chatter! The stew looks amazing. I had an African Peanut Soup at a cafe a little while ago that was amazing and I’d love to replicate it. This looks similar in flavors though of course it’s a stew not a soup. I got this book awhile ago but wasn’t able to finish it. What I did read I loved and it’s really stuck with me. I got up to when he was quitting soccer and just found it so fascinating that it’s really stuck with me. I can’t wait to get the book again. 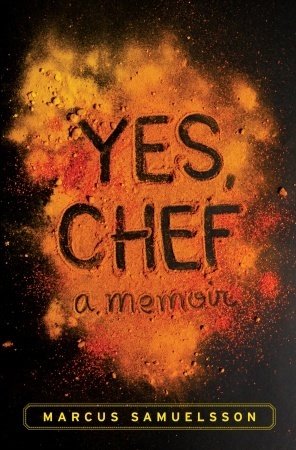 You’ve reminded me of how much I enjoyed what I did read and I always love seeing Marcus on Food Network. I was lucky enough to have seen him talk and to have him sign a copy of his book. His story is amazing. As this this chicken! Wow Beth! That’s so cool! That looks delicious and like a great book to boot. What an incredible story Marcus has to tell. Hope you linked up your review with our Travel the World in Books Reading Challenge too. I’m so behind on linking up reviews. I’ll work on that this week. I’m delighted to welcome you to Cook the Books and am so glad you enjoyed the book pick. That Stew looks so tasty! I do love chicken & peanut stew – I often add some spinach and leave out the potatoes and sweet potatoes. Welcome, Vicki. Glad you participated. I really enjoyed this pick, too. Lovely dish! I think that your stew sounds lovely and I, too, love crock pot meals. I was not as enamored with Marcus as some were. I liked him much better before I read this book but perhaps that’s what I get for putting him up on a pedestal instead of seeing that he, like everyone else, is just a human being struggling to be his best self. The book was inspiring. 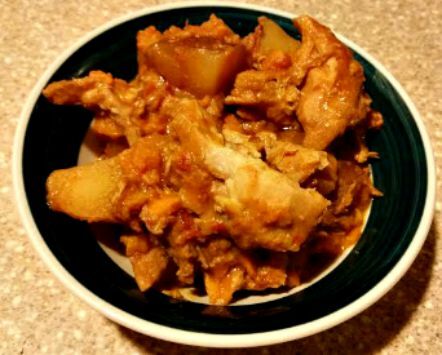 Now I’m wanting to try more African recipes, your chicken stew for instance. Your stew sounds amazing! Great choice!